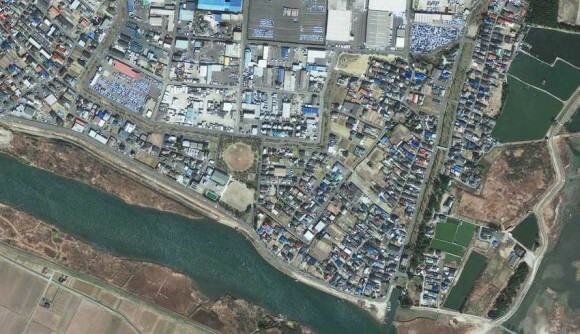 Photos from the GeoEye satellite imaging company from before and after the March 11 earthquake and tsunami in Japan show sobering views from above of the disaster. Above is the town of Sendai, Japan after the quake, below is how it looked before catastrophe struck. Arahama, Japan before the disaster. Satellite image courtesy of GeoEye. 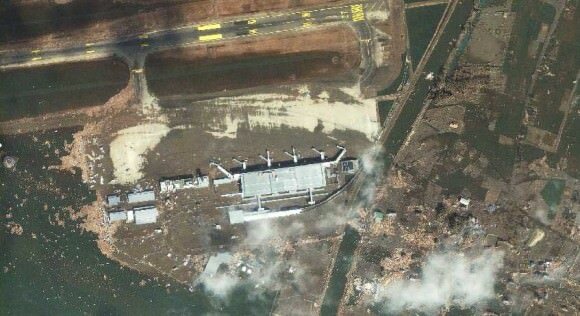 The Sendai Airport after the disaster. Satellite image courtesy of GeoEye. 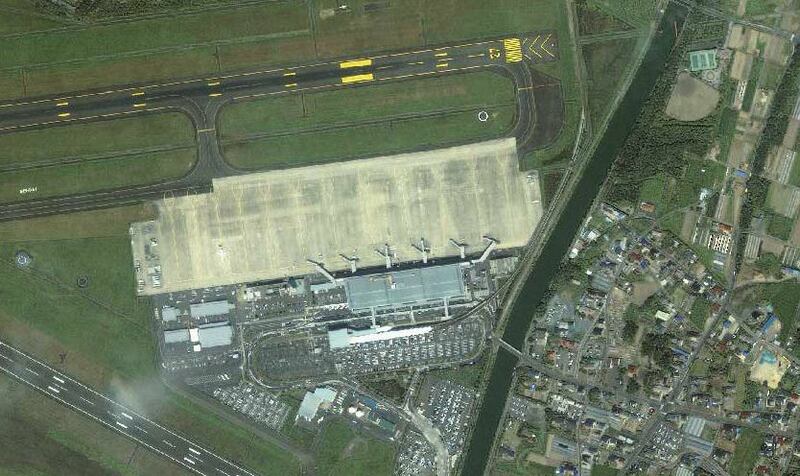 The Sendai Airport in August of 2010. Satellite image courtesy of GeoEye. Yuriage, Japan on March 12, 2011. Satellite image courtesy of GeoEye. Yuriage, Japan on April 4, 2010. Satellite image courtesy of GeoEye. Sendai, Japan on March 12, 2011. 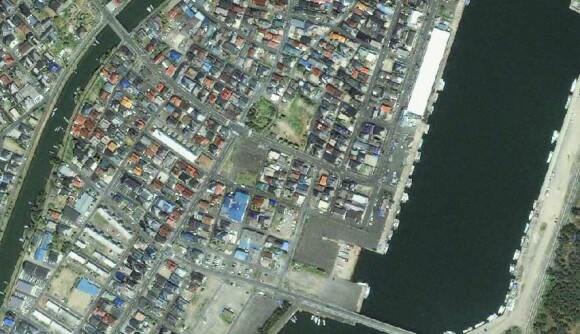 Satellite image courtesy of GeoEye. Sendai, Japan on April 4, 2010. Satellite image courtesy of GeoEye. Ishinomaki, Japan on March 12, 2011. Satellite image courtesy of GeoEye. Ishinomaki, Japan on April 4, 2010. Satellite image courtesy of GeoEye. 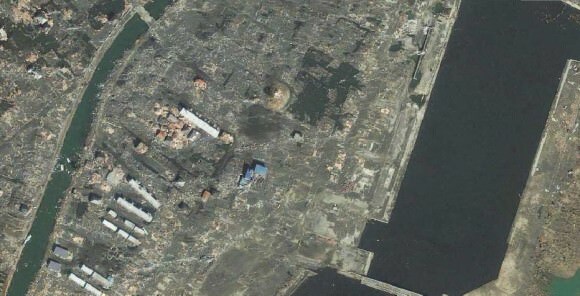 Below is an images from the MODIS Rapid Response System, which is producing twice-daily images of Japan in response to the disaster. The Moderate Resolution Imaging Spectroradiometer (MODIS) on NASA’s Aqua satellite took the right image on Mar. 13, 2011, while the MODIS sensor on NASA’s Terra satellite took the left image on Feb 26, 2011. NASA images courtesy the MODIS Rapid Response Team at NASA GSFC. These two images, from the MODIS instrument on NASA’s Aqua satellite from Mar. 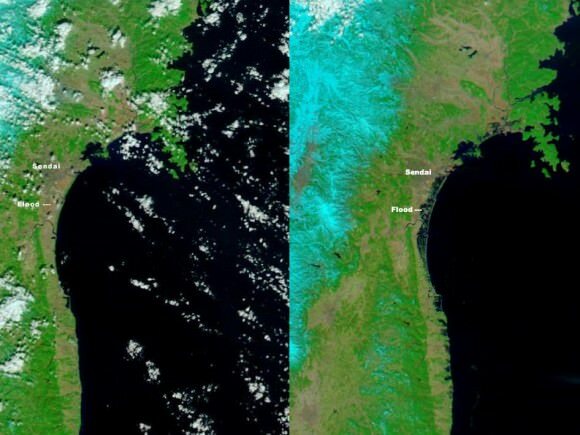 13, 2011 on the right, and the the MODIS sensor on NASA’s Terra satellite from Feb. 26, 2011 on the left before the earthquake and tsunami. Both images were made with infrared and visible light to highlight the presence of water on the ground. Plant-covered land is bright green, bare earth is tan-pink, and snow is blue. The city of Sendai is brown. 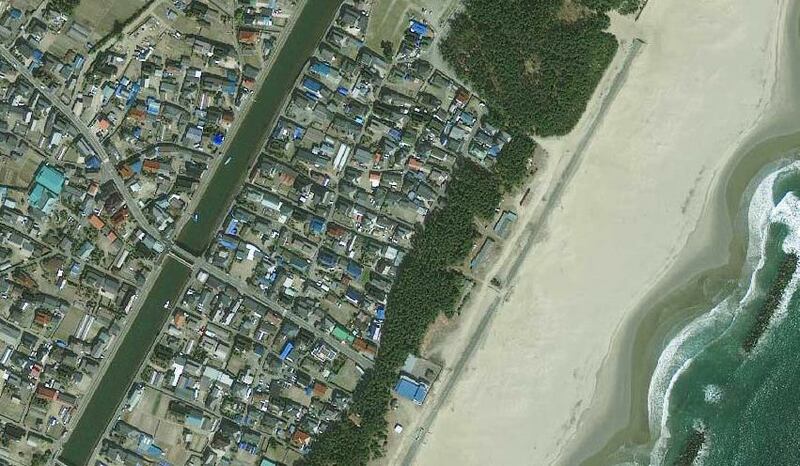 At this level of detail, the flooding along the coastline is the most obvious sign of the destructive earthquake and tsunami that struck Japan on March 11. A bright orange-red spot near the city of Sendai is the thermal signature from a fire, also likely caused by the earthquake. The photo-like true-color version of the image shows a plume of black smoke extending east over the ocean. The German Aerospace Center (Deutsches Zentrum fur Luft- und Raumfahrt; DLR) is responding through its Center for Satellite Based Crisis Information (Zentrum fur Satellitengestutzte Kriseninformation; ZKI), based at its site in Oberpfaffenhofen, and provided the image below.